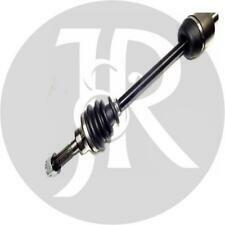 J&R CV Joints. BRAKE CALIPER. LAND ROVER. BOOTKIT / GAITER. fitted throughout a production run or your vehicle may have been modified. So even if your vehicle. carefully before ordering any Goods or Services from us. 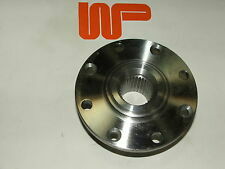 Classic Mini Drive Shaft Flange for all Minis with 7.5 Disc Brakes.Part Number 21A1270. These were fitted to All Cooper 'S' Minis with the 7.5" Brake Disc and early 1275GT's with 10" wheels. Wood & Pickett Mini Centre Ltd.
PART NUMBER: 31607574866. RIGHT HAND DRIVE SHAFT. MINI (2001 - 2007) 1600. MANUAL TRANSMISSION. CONDITION: NEW. MINI MINI (R50, R53) Uno. MINI MINI (R50, R53) Cooper. MINI MINI (R50, R53) One. NUEVO EJE DE TRANSMISIÓN CALIDAD DE EQUIPO ORIGINAL. MINI 31607514001. MINI 31607518239. Eje delantero, izquierda. MINI 31607574871. MINI MINI (R50, R53) Uno. MINI MINI (R50, R53) Cooper. MINI MINI (R50, R53) One. NUEVO EJE DE TRANSMISIÓN CALIDAD DE EQUIPO ORIGINAL. Eje delantero, izquierda. MINI 31607518237. Culata Turbocompresores Inyectores CAJA DE CAMBIOS KITS EMBRAGUE ÁRBOLES DE TRANSMISIÓN. MINI DERECHO DE CONDUCCIÓN R55 R56 R57 1.6. DE la MINI COOPER R55 1.6 gasolina. ¡Precio del envío depende siempre del peso! Cargos pueden aplicar a otros países ES, como solo enviamos gratis en Reino Unido. 2002 MINI COOPER ONE R50 R52 R53. PASSENGER SIDE DRIVESHAFT. Local collection available. UK MAINLAND ONLY . LAND ROVER. BOOTKIT / GAITER. fitted throughout a production run or your vehicle may have been modified. So even if your vehicle. BRAKE CALIPER. shafts are not suitable for lowered vehicles, call our helpline for advice if you have lowered vehicle. Part number: 7646867. Fits BMW: F45 F46 F48 F39. Fits MINI: F54 Clubman & F60 Countryman. 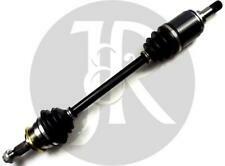 All Wheel Drive Rear Drive Shaft / Output Shaft. Genuine MINI & BMW. If you do not ask and the part does not fit we will not accept responsibility for the error. BMW Part Number: 83 23 2179705. This includes NI. MINI MINI (R50, R53) Cooper S. MINI MINI (R50, R53) Obras. MINI MINI (R50, R53) Works. MINI MINI Convertible (R52) Cooper S. NUEVO EJE DE TRANSMISIÓN CALIDAD DE EQUIPO ORIGINAL. Eje delantero, izquierda. ROVER MINI Convertible (XN) 1300 Convertible Petrol 09/1992 04/1995 FWD 8 63 46. ROVER ADU4402. Function Drive Shaft. ROVER MINI Hatchback 1000 Hatchback Petrol 01/1992 06/1993 FWD 8 41 30. ROVER MINI Hatchback 1300 Hatchback Petrol 01/1991 12/1991 FWD 8 61 45. R55 R56 R57 R58 R59. Nicht sicher ob das passt ?. Rufen Sie uns an, oder schreiben Sie uns Original Mini Abtriebswelle NEU! Passend für Mini 31 60 8 605 473 Abtriebswelle links. 31 60 7 589 767 Abtriebswelle links 26.07.2013. MINI MINI (R50, R53) Cooper S. MINI MINI (R50, R53) Obras. MINI MINI Convertible (R52) Cooper S. MINI MINI (R56) Uno. MINI MINI (R50, R53) Works. Cooper MINI MINI Convertible (R57). MINI MINI Convertible (R57) Cooper. EJE DE TRANSMISIÓN DERECHO MINI COOPER UNO R56 1.6 EJE DE SALIDA DE GASOLINA O / S / F OEM. DESDE MINI COOPER R56 1.6 MANUAL DE GASOLINA. A continuación puede encontrar una traducción automática al español. ALL OF OUR VEHICLES ARE RIGOROUSLY CHECKED BOTH VISUALLY BY OUR TRAINED STAFF AND ALSO ELECTRONICALLY USING THE LATEST SNAP-ON DIAGNOSTIC TECHNOLOGY. TO SUIT 6 SPEED MANUAL GEARBOX N47C20 ENGINE MODELS 2011-2013. MINI MINI CLUBMAN (R55) Cooper D Estate Diesel 10/2007 02/2010 FWD 16 109 80. MINI MINI CLUBMAN (R55) One D Estate Diesel 03/2010 06/2014 FWD 16 90 66. MINI MINI CLUBMAN (R55) John Cooper Works Estate Petrol 11/2007 06/2014 FWD 16 211 155. O/S/F DRIVERS SIDE FRONT DRIVESHAFT REMOVED FROM A 2008, 08 PLATE BMW MINI ONE 1.4 PETROL R56. MINI COOPER SD R56 RHD 2012 TRANSMISION PARTE DELANTERA LATERAL DERECHA. Donante de Vehículos-MINI COOPER SD R56 2012 RHD. Año - 2012. NUESTRA EXPLICACIÓN RHDse refiere a parte del vehículo de la impulsión de la mano derecha (se encuentra en Reino Unido, Australia y otros). Fits: R53 R52 Cooper S Gearbox (2000 - 2006) (Petrol). Front Drive Shaft / Output Shaft (O/S Drivers Side). Your current drive shaft should have the number (26) on the bracket. You will receive a shaft in a similar condition (Picture for illustration). MINI MINI CLUBMAN (R55) Cooper D. MINI MINI Clubman (R55) Cooper SD. MINI MINI CLUBMAN (R55) Cooper SD. MINI MINI (R56) Cooper S John Cooper Works. MINI MINI Clubman (R55) One D. MINI MINI CLUBMAN (R55) One D.
J&R CV Joints. BRAKE CALIPER. LAND ROVER. BOOTKIT / GAITER. shafts are not suitable for lowered vehicles, call our helpline for advice if you have lowered vehicle. carefully before ordering any Goods or Services from us. Part: Right Driveshaft (Midland 5 Speed). Model: BMW Mini One/Cooper (R50 Hatchback). Year: 2001 - 2004. S Mini Spares. MINI MINI (R50, R53) Una D. MINI MINI (R50, R53) One D. LADO IZQUIERDO (CONDUCTOR DEL LADO / DE LADO EN EL REINO UNIDO). Diferencial lado externo de la dentición34. NUEVO EJE DE TRANSMISIÓN CALIDAD DE EQUIPO ORIGINAL. 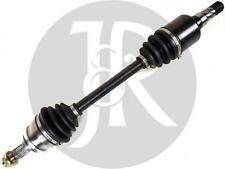 2009 R56 Mini Cooper FRONT DRIVESHAFT RH Drivers Side. OE Factor Number - 31 60 8 605 474. 6 Speed Manual. 1.6 Petrol Engine. Engine Code - N12B16A. Please make sure part is correct before purchasing. We try to describe our parts as honestly as we can, however please also see our images in case we have missed anything. Any questions please ask. International buyers please contact us for price and availability of postage to your location. Removed from below vehicle -. MINI MINI (R50, R53) Cooper S. MINI MINI (R50, R53) Obras. MINI MINI (R50, R53) Works. MINI MINI Convertible (R52) Cooper S. NUEVO EJE DE TRANSMISIÓN CALIDAD DE EQUIPO ORIGINAL. Eje delantero, derecha. MINI ONE R50 R53 COOPER eje eje izquierdo delantero. MINI ONE R50 R53 COOPER. - Modell/Typ ONE R50 R53 COOPER. Eje eje izquierdo delantero. ¡Es una ayuda pero no es 100% garantía! 3 puertas, 5 velocidades caja de cambios, ABS, ESP, manejo de energía, eléctrica de aire acondicionado, cierre centralizado, eléctrico frente a Windows. Manufacturer Part Number 9805431. MINI COUNTRYMAN R60 SD ALL4 EJE DE HÉLICE DE EJE PROPULSOR RHD 2011 9805431. Donante de Vehículos- MINI COUNTRYMAN R60 SD ALL4 2011 RHD. Año - 2011. NUESTRA EXPLICACIÓN. MINI R56, Cooper, 3 doors, N12, EUR, (MF31) : Output shaft front right. MINI R56, Cooper, 3 doors, N12, EUR, (MF32) : Output shaft front right. MINI R56, Cooper, 3 doors, N12, USA, (MF33) : Output shaft front right. BMW MINI Cooper SO / S Derecha Conductores del eje de transmisión derecho (026) R53 7574850 Genuino. MINI R53 (09/2000 - 11/2006) Cooper S / JCW. MINI Cabrio R52 (11/2002 – 07/2008) Cooper S.
MINI MINI CLUBMAN (R55) Cooper D. (R56) del MINI MINI Cooper S John Cooper trabaja. MINI MINI (R56) Cooper S John Cooper Works. MINI MINI CLUBMAN (R55) One D. MINI MINI (R56) COOPER SD. MINI MINI (R56) Cooper S.
MINI MINI (R50, R53) Uno. MINI MINI (R50, R53) Cooper. MINI MINI Convertible (R52) Uno. MINI MINI Convertible (R52) Cooper. MINI MINI (R50, R53) One. MINI MINI Convertible (R52) One. Eje delantero, izquierda. Innerhalb einer Baureihe gibt es zu viele Änderungen, die wir hier nicht alle berücksichtigen können. Automatikgetriebe 205 = Ja. Sport-Automatik Getriebe 2TB=Ja. Antriebswelle Abtriebswelle. vorne links D=23.5 mm.